Sunny skies this morning will become overcast during the afternoon. High around 85F. Winds SW at 10 to 15 mph..
Cloudy. A stray shower or thunderstorm is possible. Low around 65F. Winds S at 5 to 10 mph. BLACKVILLE – The funeral for Mrs. Christine Copeland Johnson will be held at 1 p.m. Friday, Jan. 11, 2019, at Tabernacle Baptist Church, Blackville. Burial will be in Hope Memorial Park Cemetery, Barnwell. Mrs. Johnson will be placed in the church one hour before the service. Christine C. Johnson departed from this earthly home and entered into eternal rest on Thursday, Jan. 3, 2019. She was born in Bamberg County on Oct. 26, 1945 to the late Mr. Coy and Ida Mae Copeland. At an early age, Christine joined Mount Zion Baptist Church in Denmark. After marriage in 1963, she joined her husband in membership at Tabernacle Baptist Church of Blackville. Two children preceded her in death: a son, Kenneth Johnson, and a daughter, Linda Gail Johnson. Christine leaves to cherish her memories her devoted husband of 55 years, the Rev. James E. Johnson Sr. of the home in Blackville; her children, Terry (Lisa) Johnson of Augusta, Georgia, Lisa (Gerald) Myers of Williamsburg, Virginia, and James (Shannon) Johnson of Barnwell; adopted son Richard Hicks of Texas; and a host of other relatives and friends. Viewing for the public will be held from noon to 7 p.m. Thursday, Jan. 10, at the funeral home. Friends may call at the residence and at the funeral home. 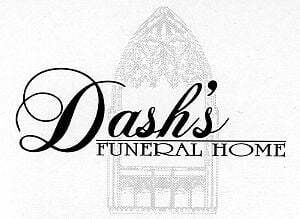 Sacred arrangements are entrusted to Dash's Funeral Home of Blackville. Online condolences may be submitted to www.dashsfh.com.